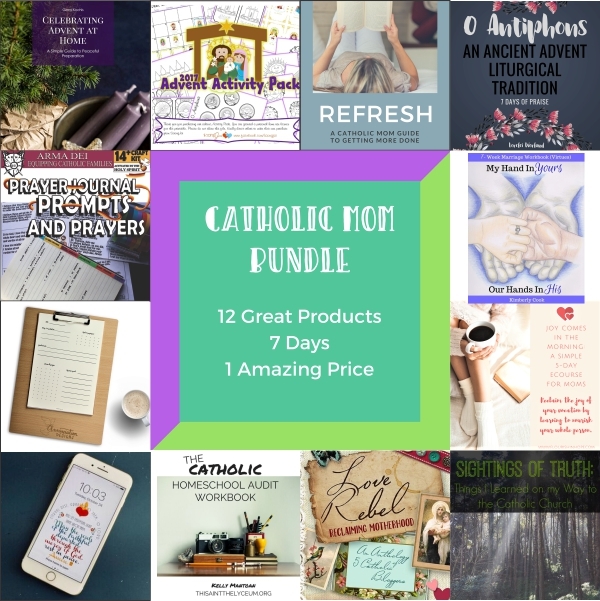 My contribution is the Special Edition Prayer Journal Prompts and Prayers which includes 8 templates of prayer, scripture and saint inspired prompts to secure on each page of your prayer journal, along with our Kelly Saints stamps and illustrated classic prayers. 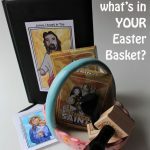 This PDF can be printed on label paper for easy use and the kit comes with permission to copy for home use so that you can make custom prayer journals for years to come! 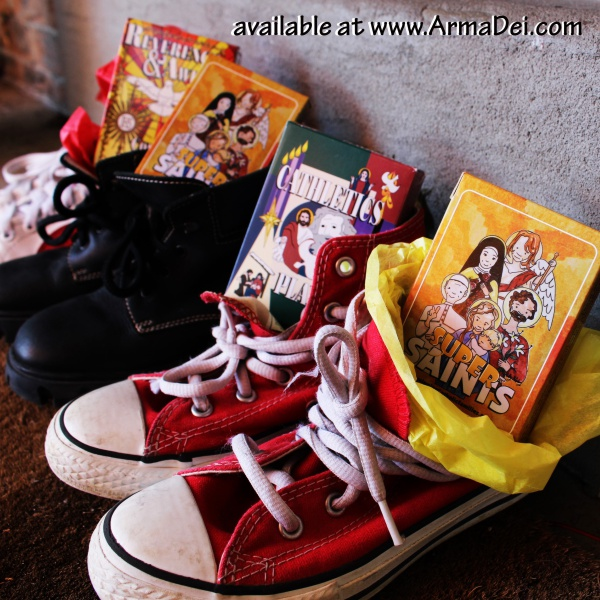 Looking for Prayer Journal Prompts? 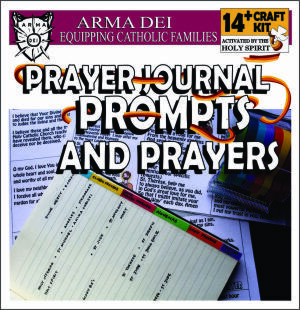 Check out our Journal Prayers and Novenas Craft Kit and the Prayer Journal Prompts Workshop Kit in the Arma Dei Shoppe! 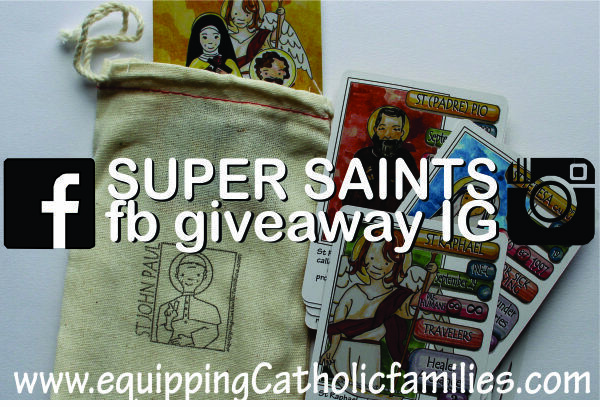 …and Congratulations to the TWO winners of our Super Saints Giveaway! 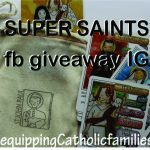 They’ve now received their Super Saints decks and are choosing their favorite craft kits in the Shoppe! Until November 27th, get 5 decks of quizzing cards for only $50 with shipping to the US or Canada included! 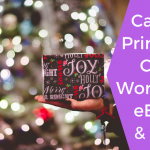 Save $19!